An early start for AllezNutrition staff. 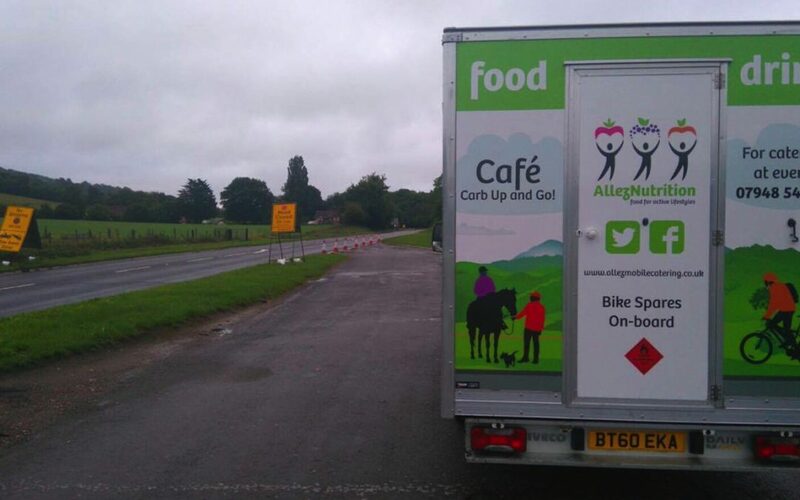 We pitched on the Shere by-pass just before 5.00am and saw the last riders through. The first fast peloton arrived at 7.30am and from then on, there was a steady stream of cyclists, gradually getting slower throughout the day. By 10.30 a lot of riders required sustenance; bananas, espressos, hard-boiled eggs, bacon rolls, BLTs, sausage rolls, coke and cake. It was great to serve fellow cyclists. Believe me, we knew how you felt; been there done it! See you next year….same place.